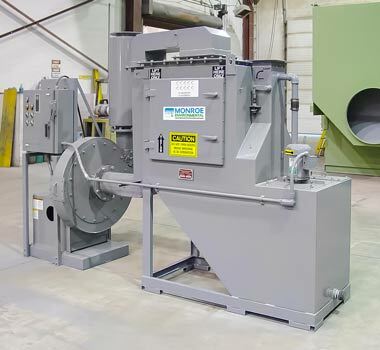 Monroe Venturi Scrubbers are designed to remove both heavy and light airborne particulate matter from exhaust systems, as well as flue and process gasses. 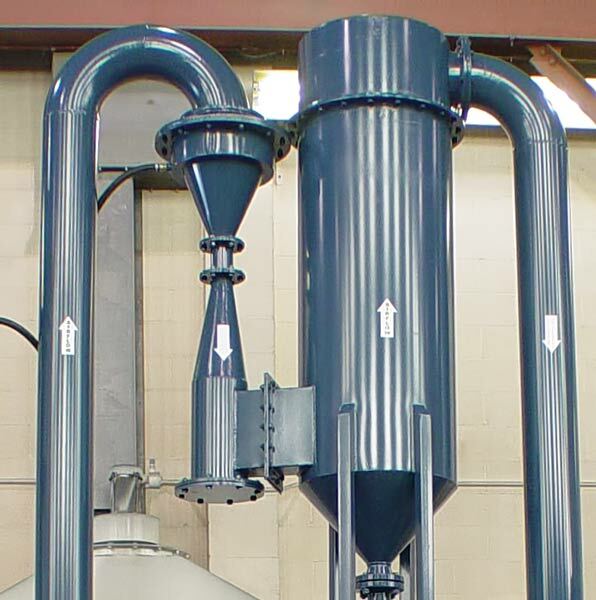 Venturi Scrubbers bring particulate-laden air streams together with water at high velocities to transfer the particulate into the water stream. 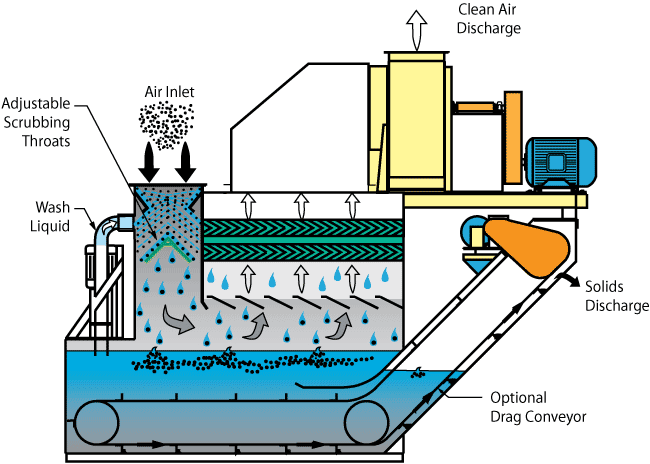 The water droplets and particulates are then removed from the air stream through centrifugal separation and mist elimination stages. 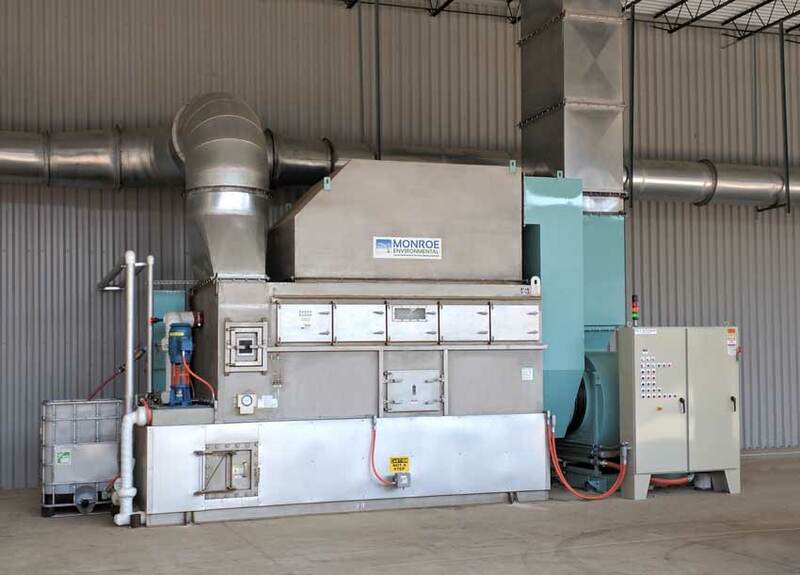 Monroe Venturi Air Scrubbers are currently operating continuously at high efficiency in many types of industrial installations throughout the United States, Mexico, and Canada. 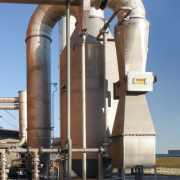 Independent laboratory tests have shown that many of these units are removing various types of airborne particulate at efficiencies up to 99.9%, even on heavy particulate loads. 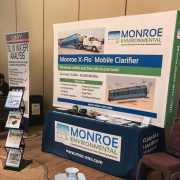 Monroe Environmental specializes in wet and dry particulate collection for a wide variety of applications. 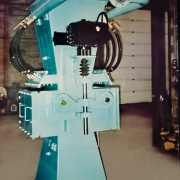 The company’s first project in the early 1970’s was a pilot venturi scrubbing system designed to remove oil and particulate from a contaminated air stream at an automotive manufacturing plant. 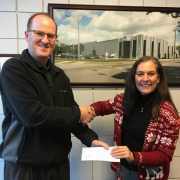 The system was a resounding success. 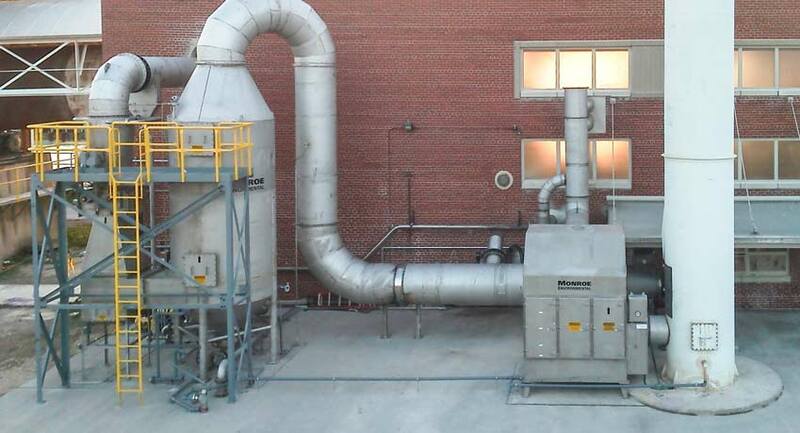 Since that time, Monroe Venturi Air Scrubbers have been successfully used for countless industrial and municipal applications. Monroe Environmental Venturi Particulate Air Scrubbers will often be integrated into a larger treatment system that includes a variety of processes including cyclonic separators, Packed Tower Scrubbers, filters, etc. 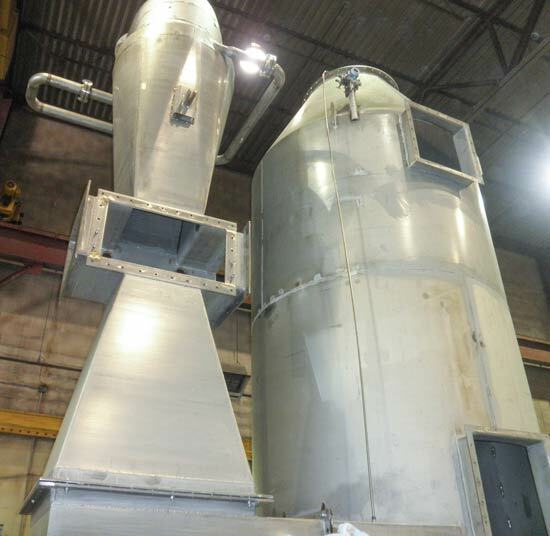 Monroe engineers have the capability to design complex air pollution control systems that utilize Venturi Scrubbers as an integral part of the process. 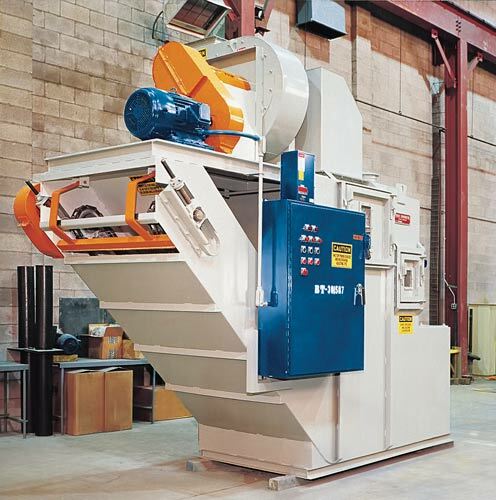 Visit the Multi-Stage Scrubbing Systems page which outlines our capabilities with these highly sophisticated scrubbing systems. 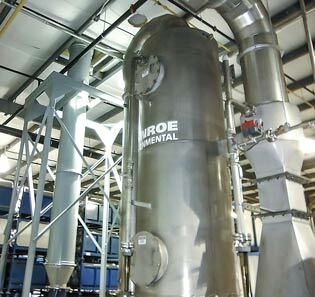 Monroe also has a very unique venturi scrubber design which is appropriate for a variety of in-plant dust collection applications (see below). 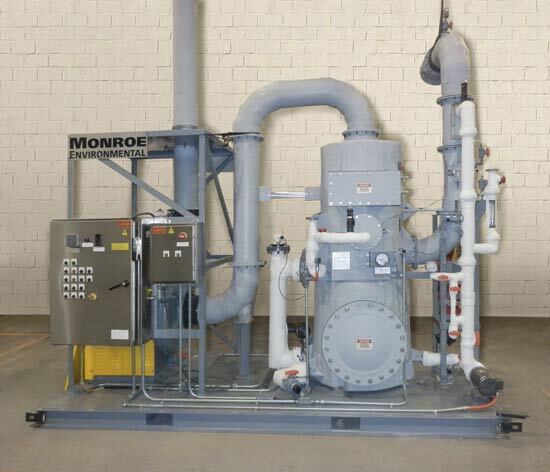 The Monroe Dual Throat Venturi Air Scrubber is a completely self contained unit that needs only to be connected to normal plant electrical, water, and air systems. 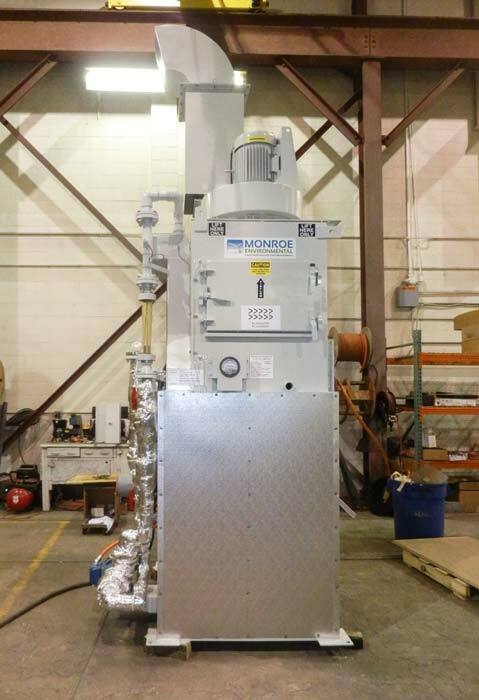 The Monroe Dual Throat Scrubber is one of the most versatile venturi scrubber designs available because of its ability to handle a wide range of dry, wet, sticky, tacky, and oily particulate loads. 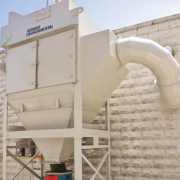 Additionally, the system is an excellent choice for explosive dust applications. 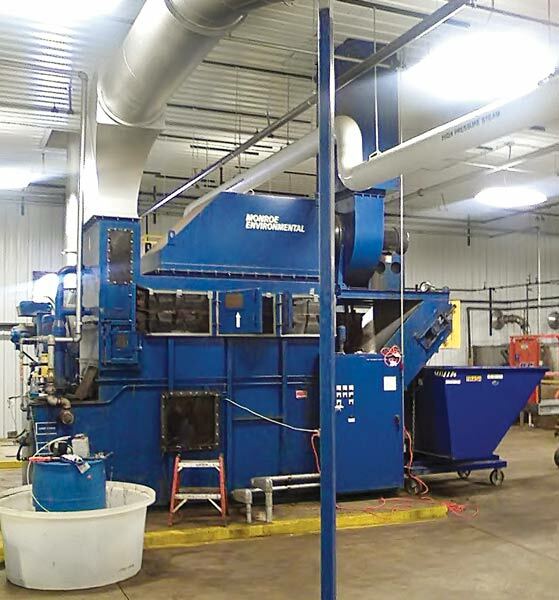 In many installations, such as buffing and polishing, metal finishing and grinding foundry operations etc., it is possible to recirculate clean, contaminant-free air back to the work area. This reduces the cost of plant ventilation systems and climate control needs. 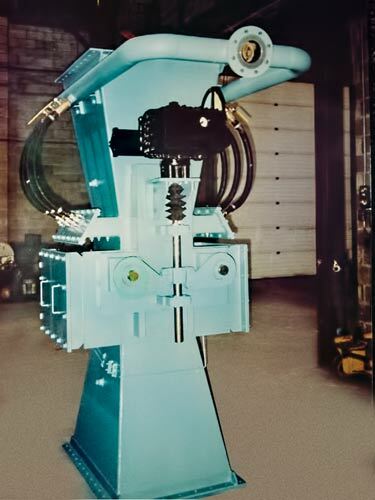 The Monroe Venturi Air Scrubber utilizes a high volume wash water injector system that removes airborne particulate by delivering an initial surface impingement shock to heavy inlet dirt loads. 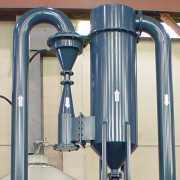 High velocity atomization takes place as the inlet air is directed through the fixed and dual adjustable scrubbing throats. The easily adjustable dual throats balance the pressure drop through the air flow system at the start-up or after system changes are made. 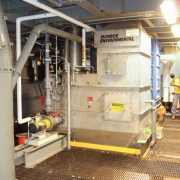 This design feature eliminates the need for ductwork dampers and blast gates that are prone to particulate build-up and require periodic maintenance. 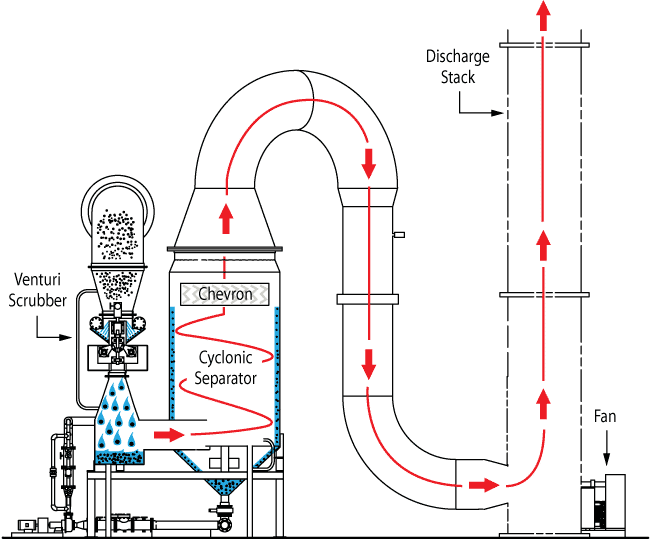 In addition, the increase in pressure drop in the wash zone improves the overall efficiency of the system. 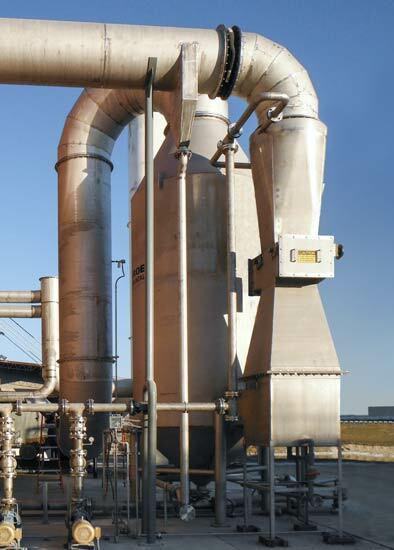 After passing through the turbulent dual throat wash zone, the air impinges on the liquid surface, changes direction and then continues through deflectors and into a large, double row moisture eliminator section. Water droplets in the airstream are removed and drain back to the wash liquid reservoir tank. 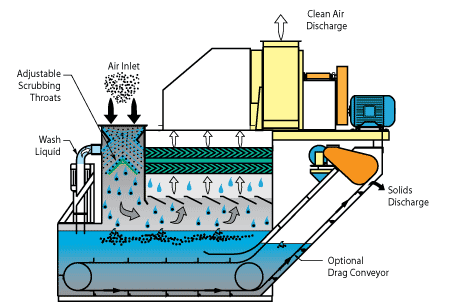 The clean, dry air is then recirculated to the work area or discharged through exhaust ducts. 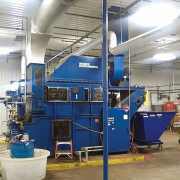 Waste water disposal problems are eliminated under normal operating conditions. 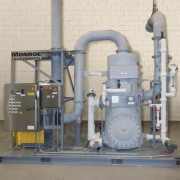 Each unit has a self-contained wash liquid reservoir and recirculating pump. An automatic water valve replenishes wash liquid lost through evaporation. 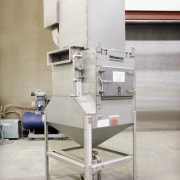 Optional automatic drag conveyors for removal of heavy, settled particulate and oil recovery units provide additional wash liquid cleaning for more efficient operation. 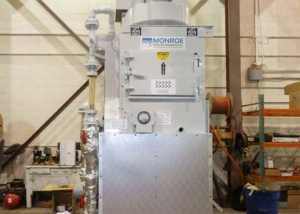 Monroe Dual Throat Venturi Air Scrubbers are constructed of mild steel for most applications. 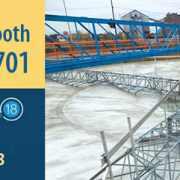 However, where the intended use will involve corrosive or highly abrasive contaminants, other construction materials such as stainless steel or reinforced fiberglass, as well as special coatings are available. Moisture eliminators also are constructed of materials suitable for the intended application, including polyethylene or stainless steel. 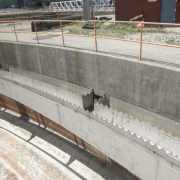 Complete electrical controls are available to meet customer specific requirements. 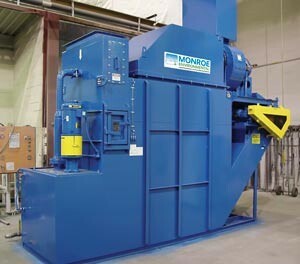 Monroe Dual Throat Venturi Air Scrubbers can be configured to meet specific needs. 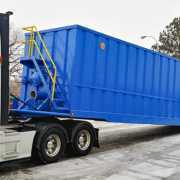 Units can be equipped with drag conveyors to remove heavy, settled particulate and oil recovery units to remove accumulated oil. 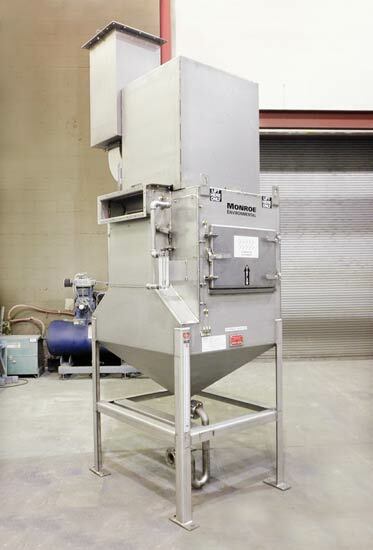 Monroe Multi-Stage Scrubbing System to remove particulate from a food dryer prior to VOC destruction with a regenerative thermal oxidizer. 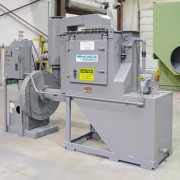 Dual Throat Venturi Wet Scrubber for explosive dust collection for a plastic manufacturing process. 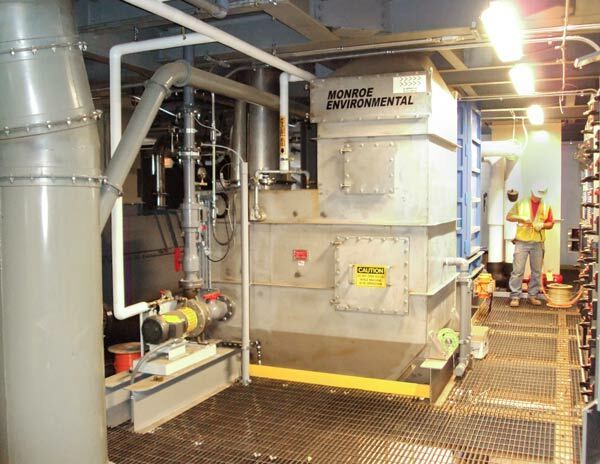 Custom designed Multi-Stage System – process gasses treated with a series of scrubbers, and wastewater was treated with a Monroe compact clarifier.